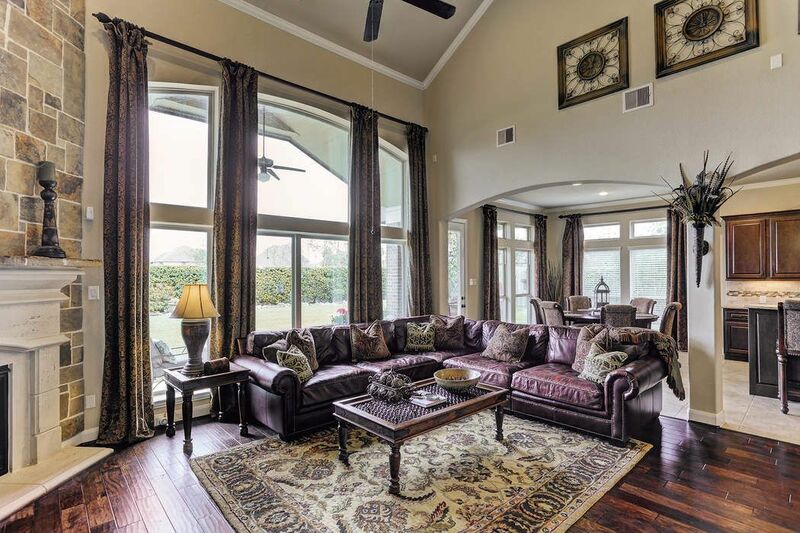 913 Ember Hills Lane, Friendswood, TX 77546 | Martha Turner Sotheby's International Realty, Inc.
Take a look inside this exquisite home located in West Ranch. 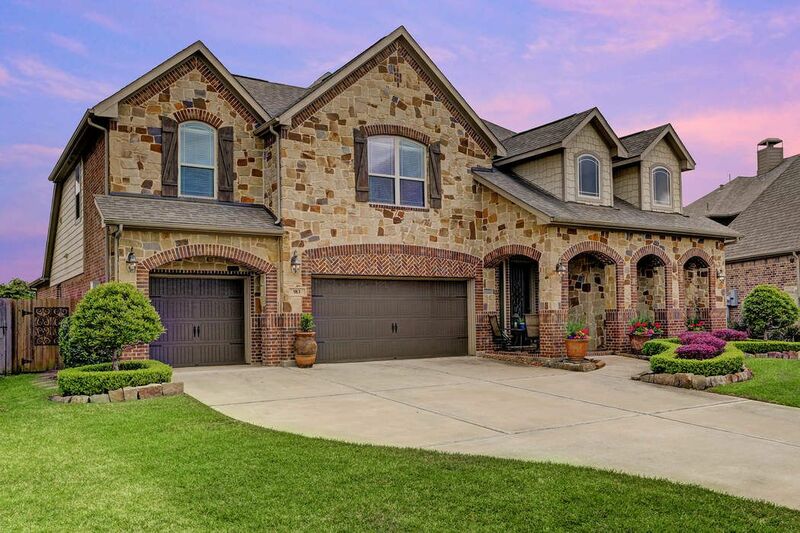 The curb appeal is undeniable as you approach this home with it's stone & brick detailing and perfectly manicured lawn. 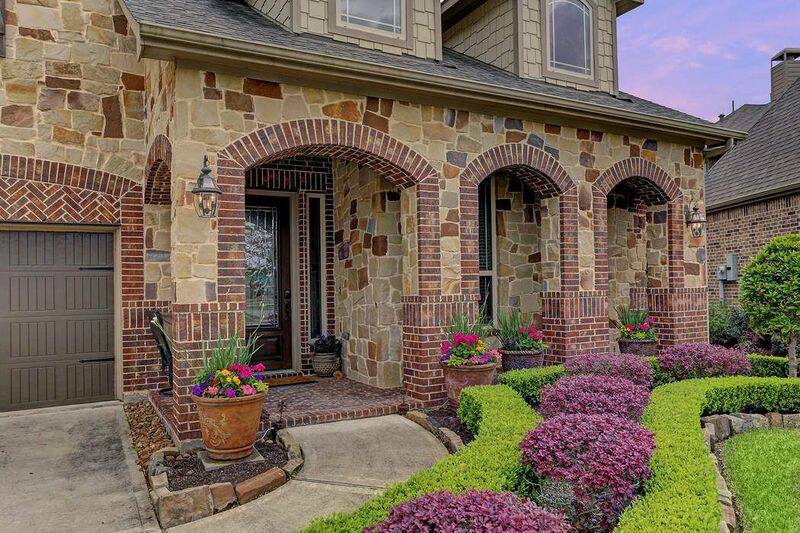 A closer look at the stone and brick, as well as a view of the covered front porch, which is the perfect place to relax and watch the sun set. 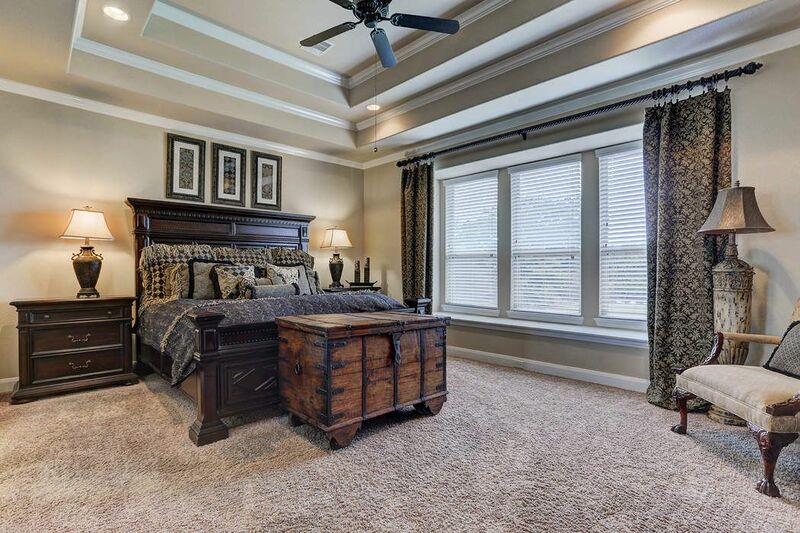 As you enter the home, you are greeted by the study which is complete with French doors for privacy, and wood floors. 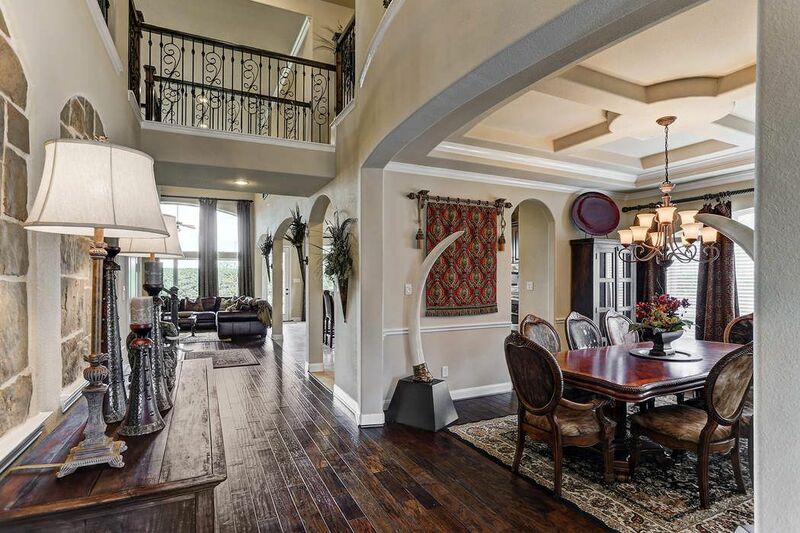 The gorgeous foyer which leads into the formal dining room and family room. 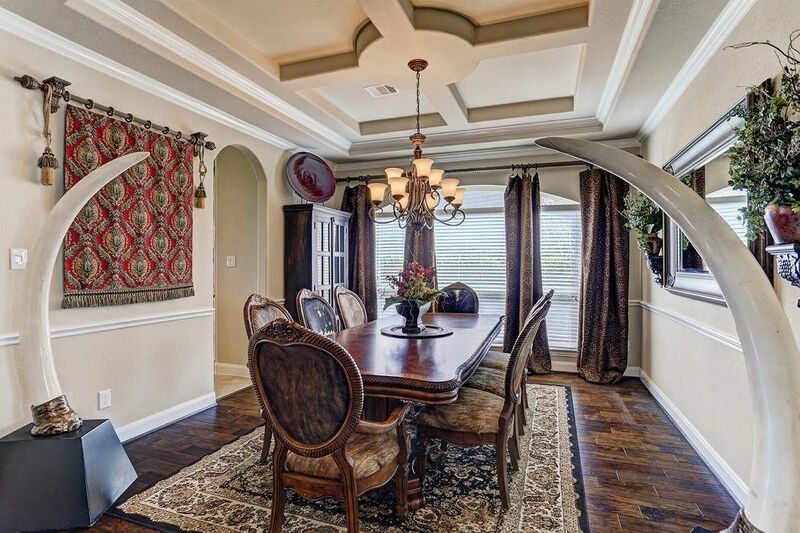 A closer look at the elegant formal dining room with it's wood floors, custom chair railing, and stunningly detailed ceiling. 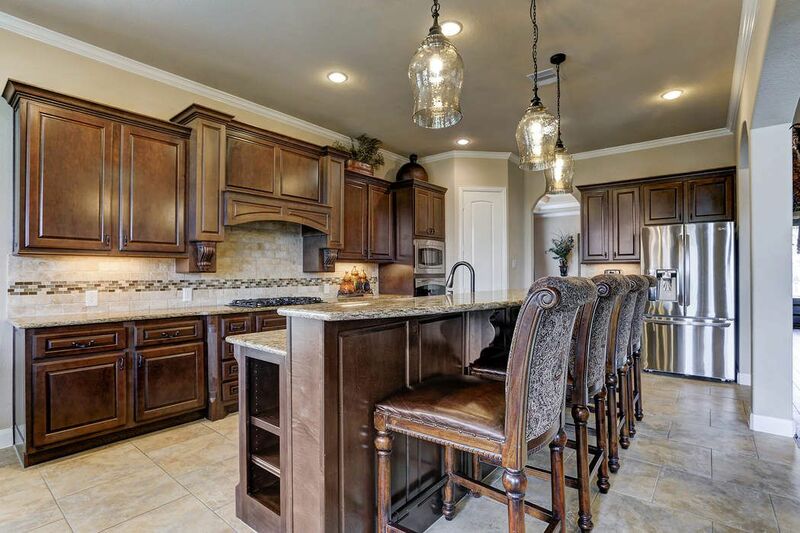 The kitchen boasts beautiful custom cabinetry, and a large island with raised bar area which is the perfect place for your guests to enjoy a gathering. 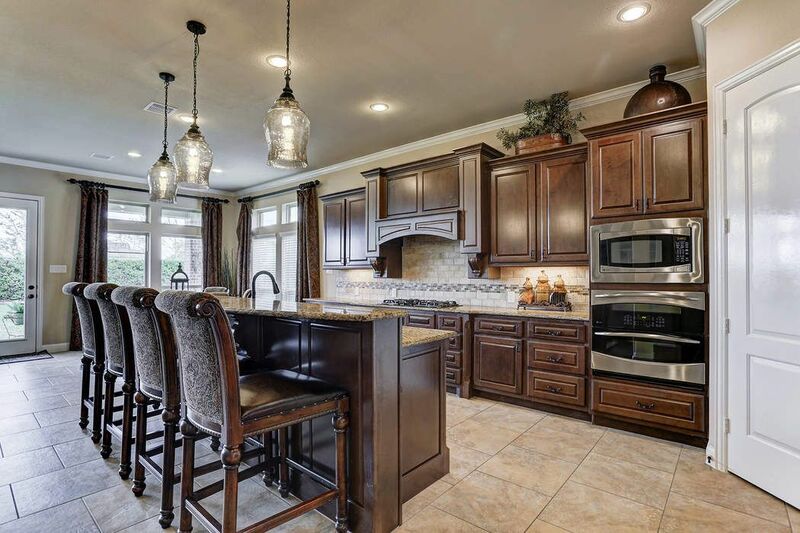 Stainless steel appliances and granite countertops give this spacious kitchen a gourmet feel. And the ample counter space makes cooking a breeze. 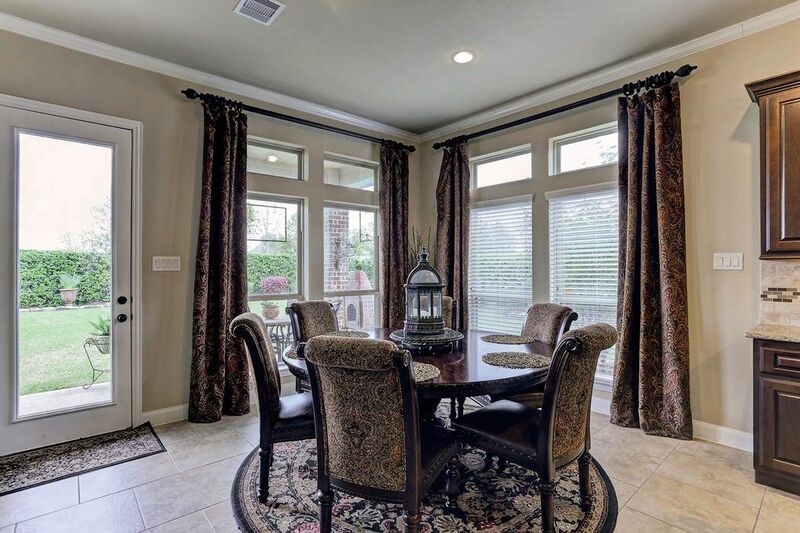 The breakfast area with lots of natural light and a view of the well manicured lawn. 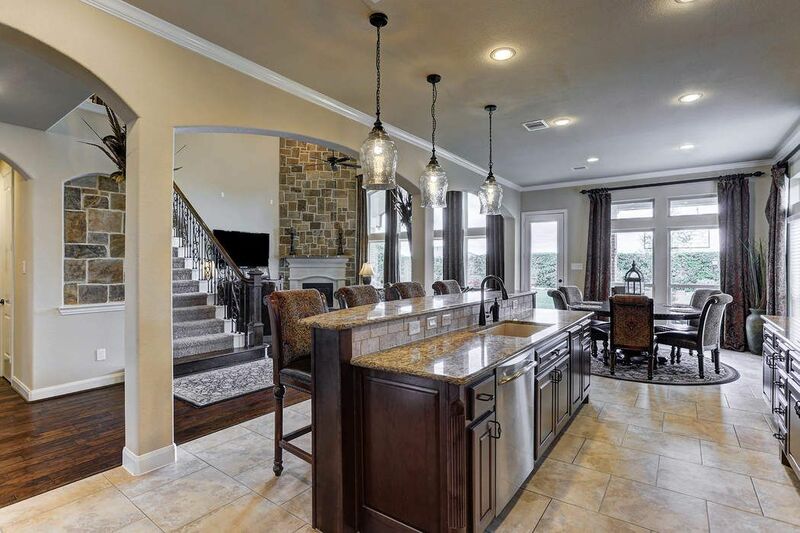 The kitchen and family room fit seamlessly together. 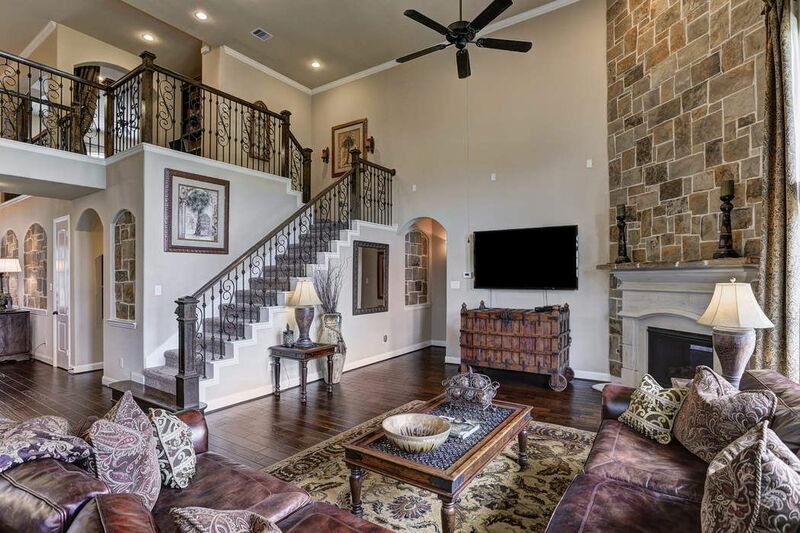 The family room with it's soaring ceilings and wood floors is perfectly accented by the gorgeous wrought iron detailing along the stairway. A view of the living room's impressive wall of windows. 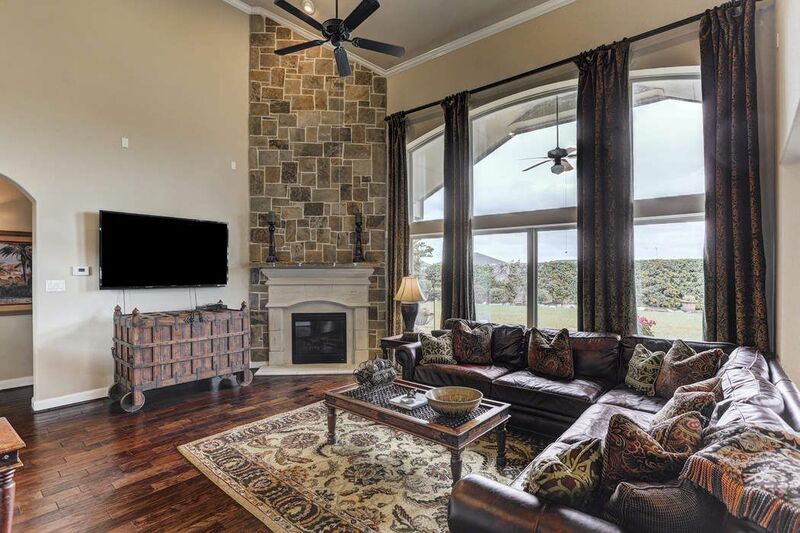 The two-story stonework on the fireplace gives the family room a cozy feel, and makes it the perfect spot to curl up on a cold night. 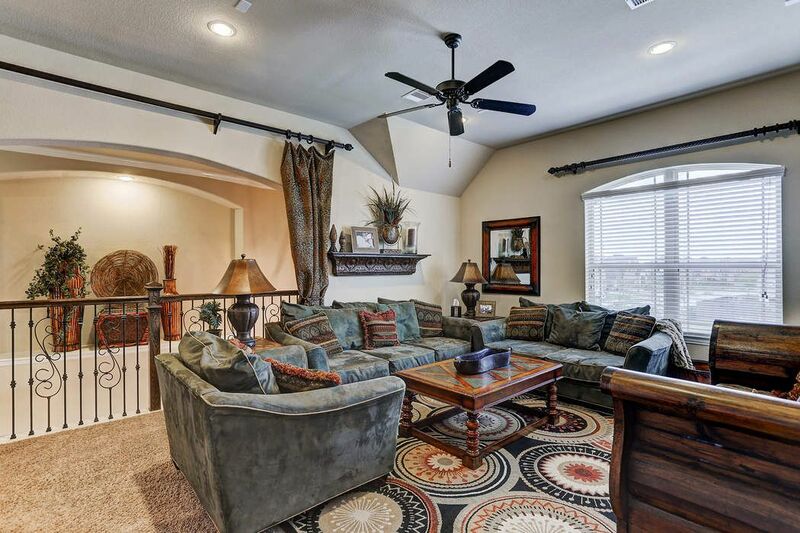 Another view of this remarkable family room with all of the impressive details it has to offer. 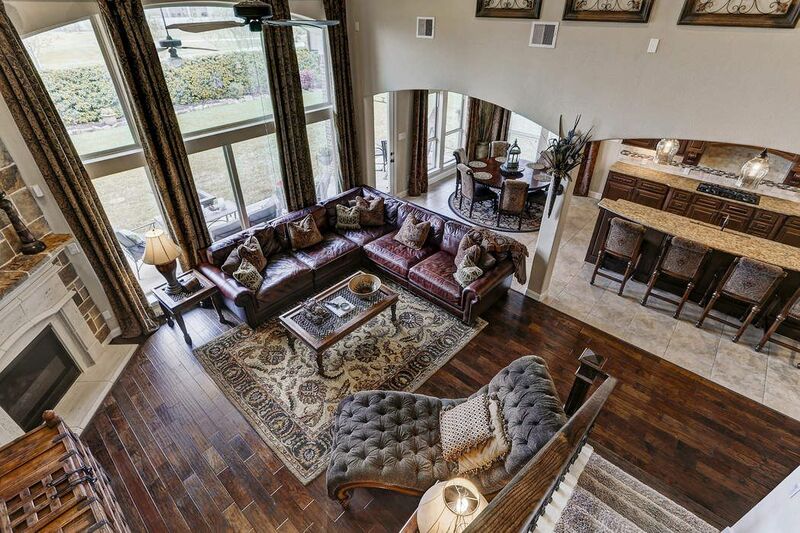 A bird's eye view of the spacious living room, breakfast area, and kitchen. The boundless master suite is complete with tray ceilings and a wall of windows. 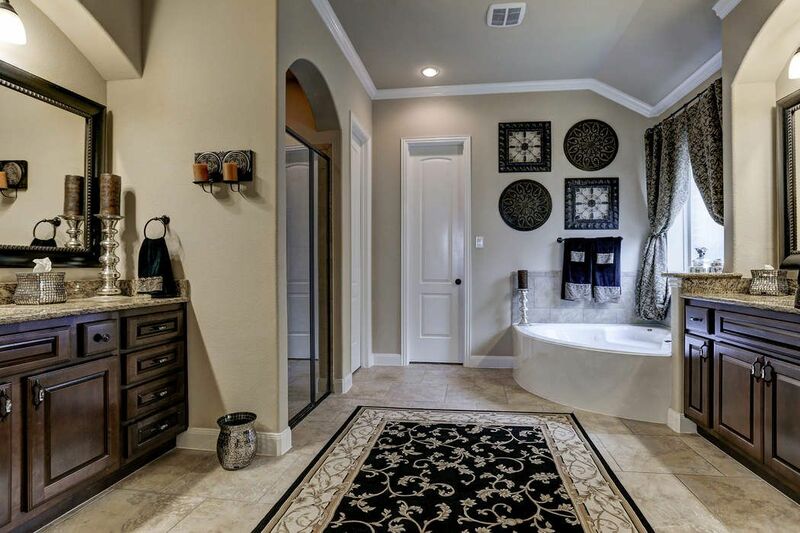 The master bath is complete double vanities, large walk-in closet, jetted tub, and separate shower. 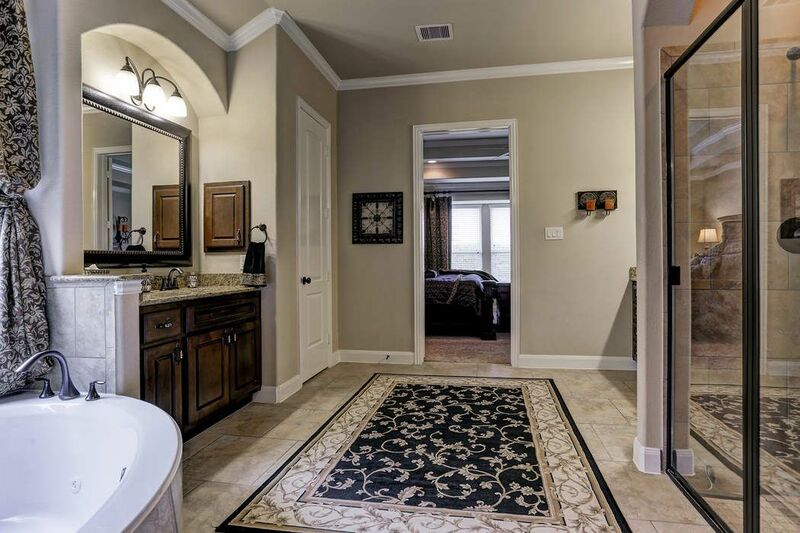 Another view of the luxurious master bathroom. 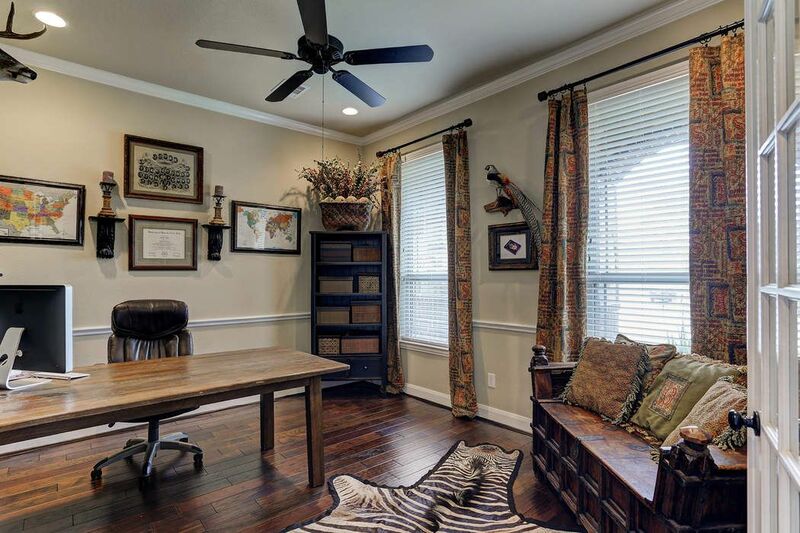 The built-in desk area upstairs is the perfect place for kids to do their homework. Enjoy a movie night in the cozy game room! 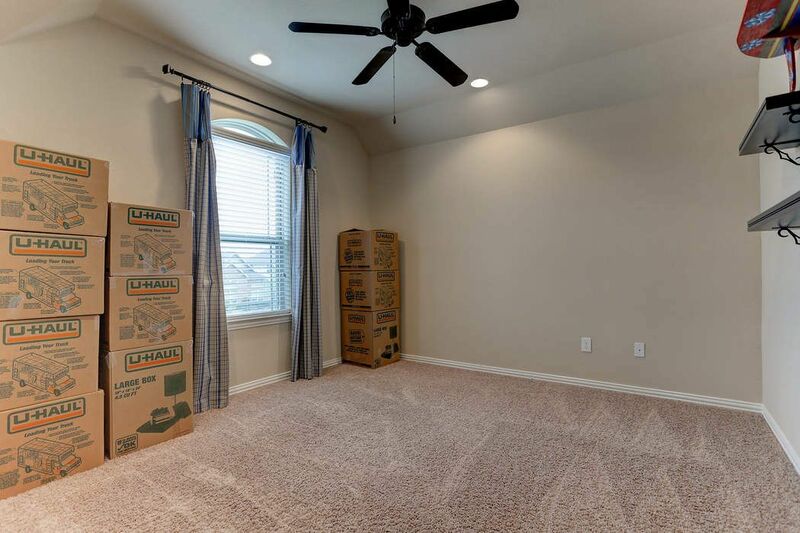 Another view of the game room, and the hallway leading to two secondary bedrooms. 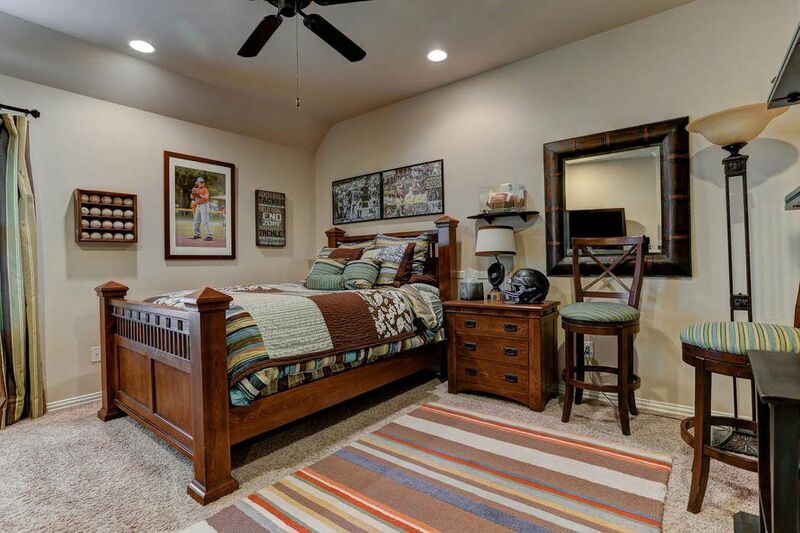 Secondary bedroom with high ceilings, en suite bath, and a walk-in closet. 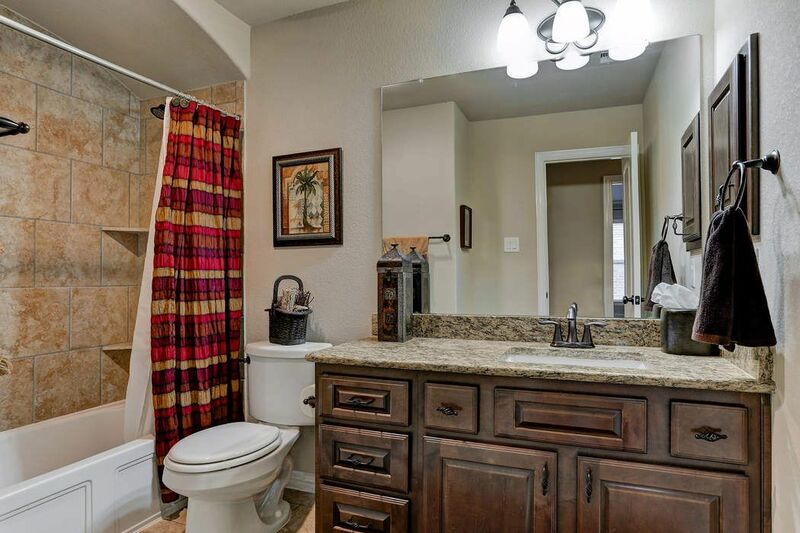 Secondary bathroom with granite countertops, and oversized tile shower backsplash. Another secondary bedroom with high ceilings and a walk-in closet. 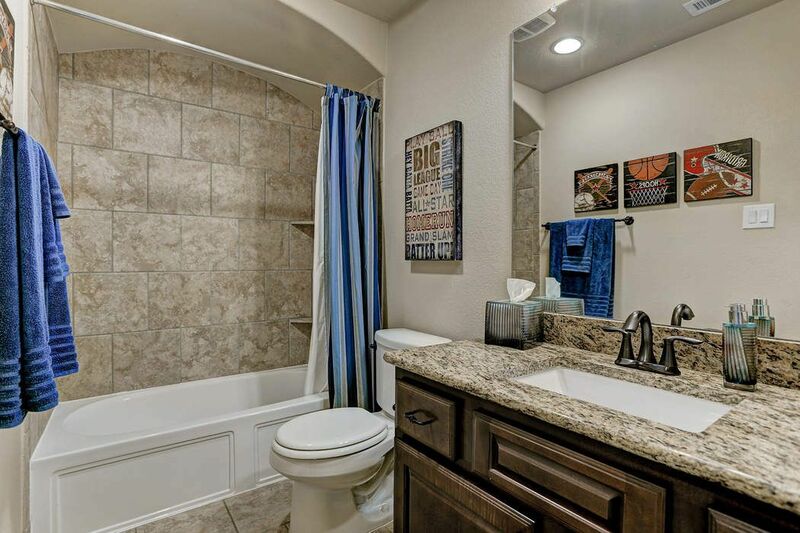 Another secondary bathroom with granite countertops and oversized tile backsplash. 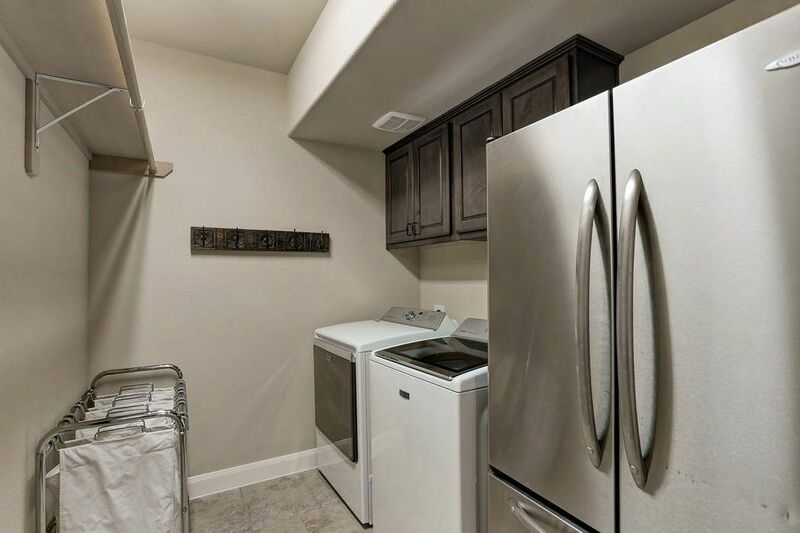 The spacious laundry room with built-in cabinetry and space for a second refrigerator. 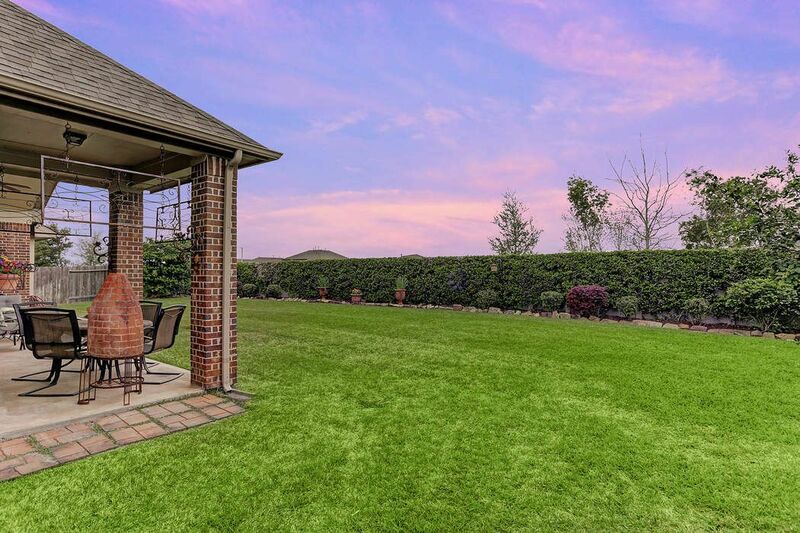 A view of the beautiful backyard area with a custom double wide gate which is large enough for a golf cart to fit through. 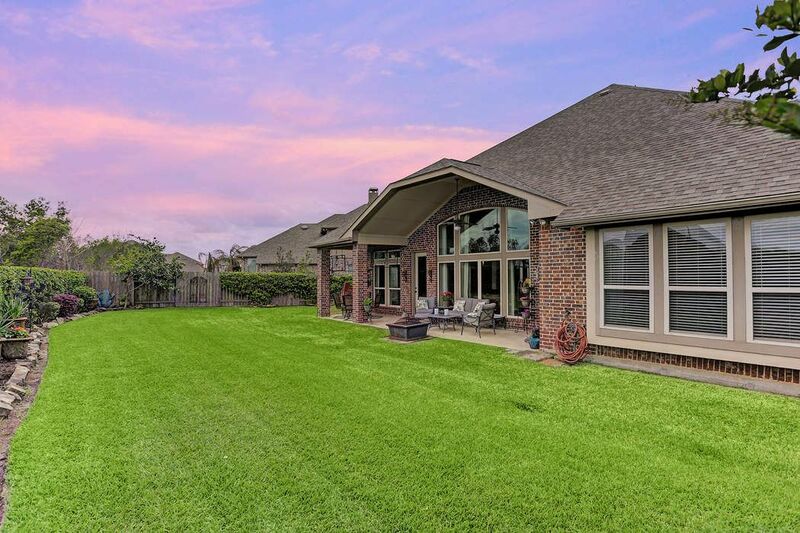 Another view of the lush lawn and the large covered patio. This backyard is a dream! 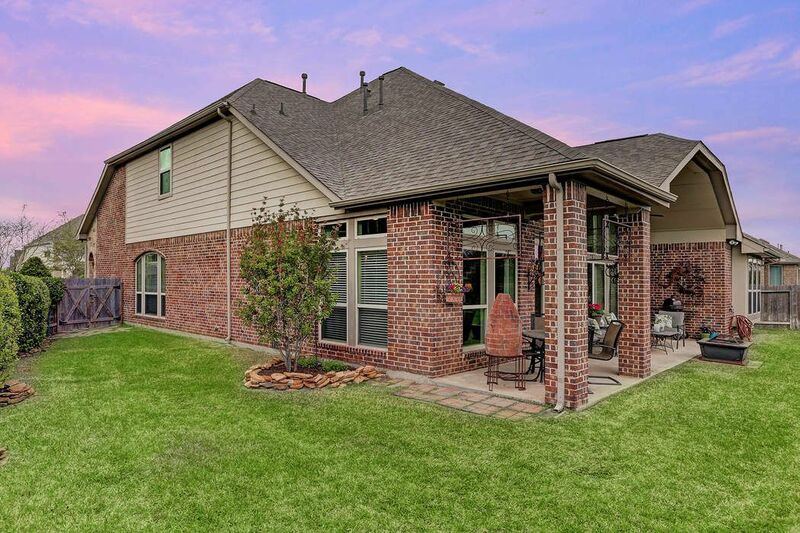 With plenty of space for a pool, a kids playset, or even for the dogs to run and play, the back of this home is just as impressive as the front! 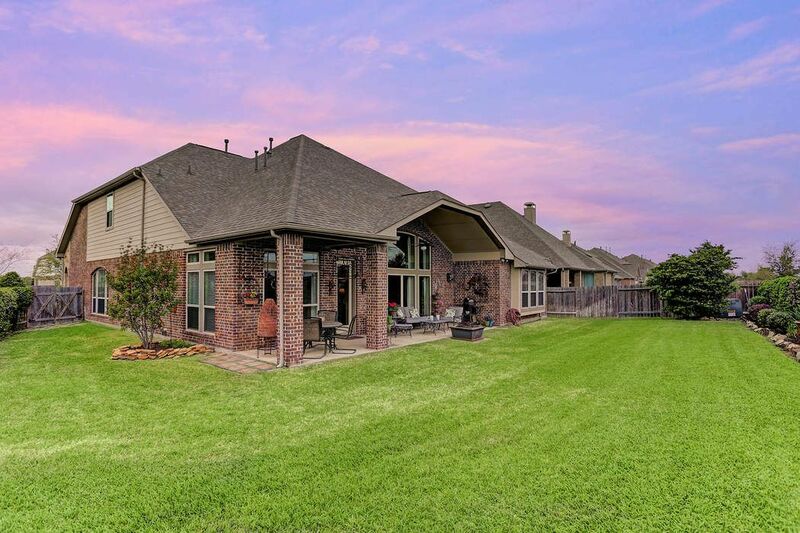 The well manicured landscaping along the back of the property perfectly accentuates this gorgeous home. 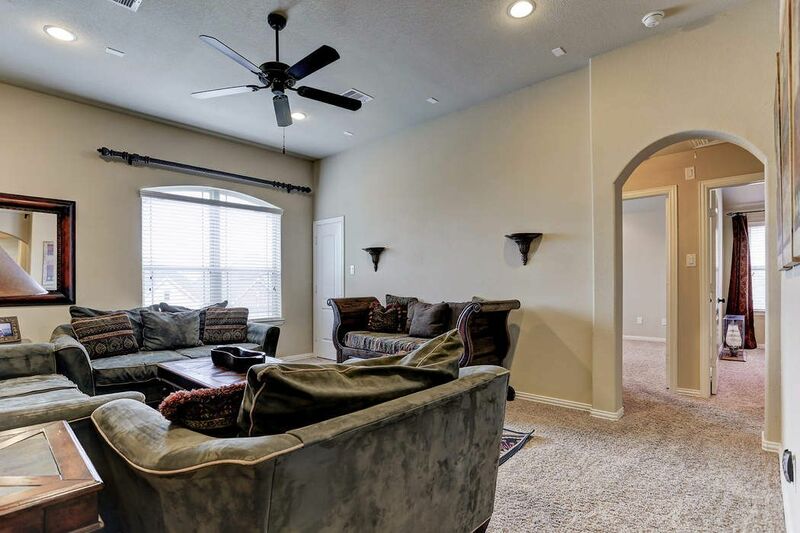 $469,000 4 Bedrooms3 Full / 1 Partial Baths3,765 sq. 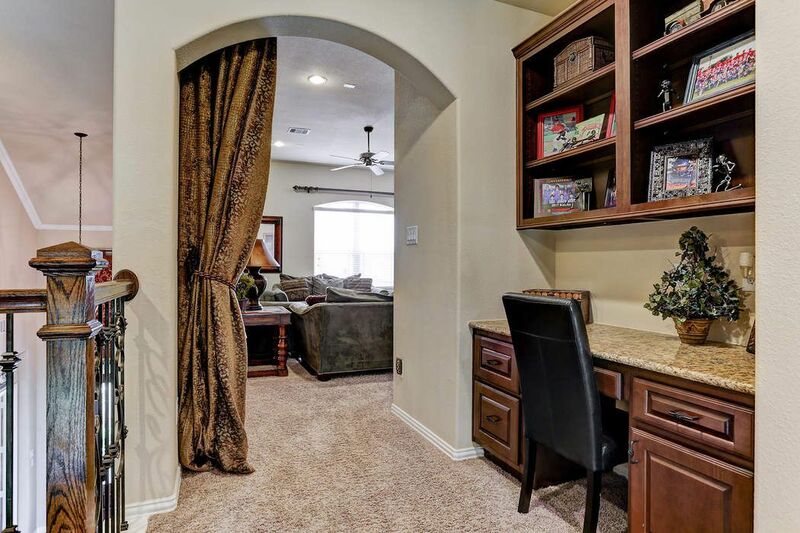 ft.
Gorgeous home located in the beautiful West Ranch community. 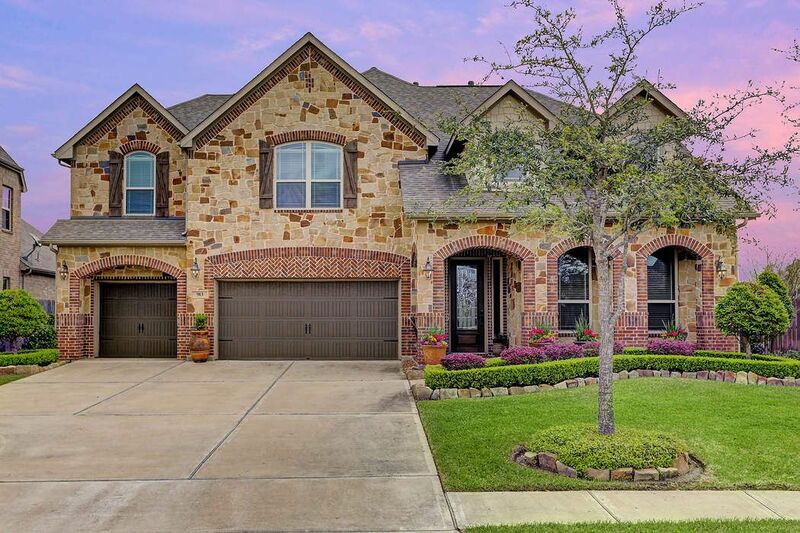 This impressive home is complete with soaring ceilings, two story windows in the living room, an open concept floorplan, wood floors, large study, spacious bedrooms with walk-in closets, granite countertops, immaculately manicured landscaping in the front & back yards, and so much more! 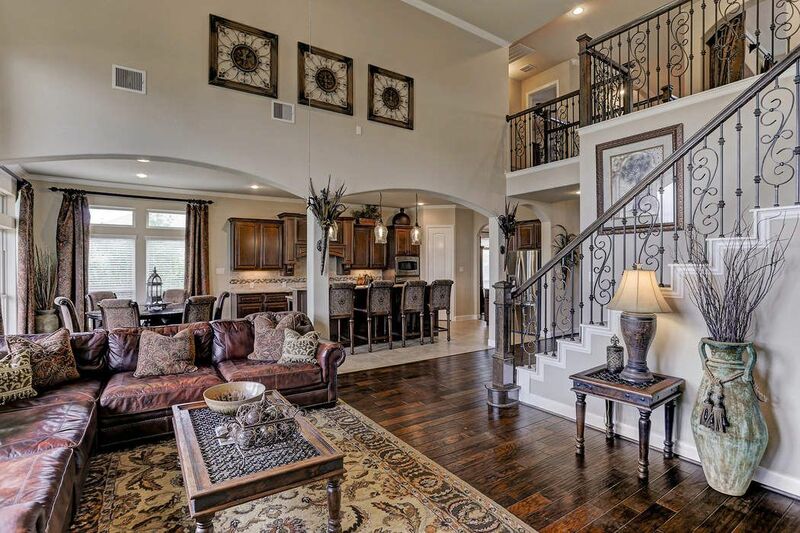 Schedule an appointment to come and see this spectacular home for yourself!